Watch an endless amount of sports coverage, live and on-demand in over 70 popular channels for just $45 per month. Get 7 days free. Hulu with Live TV includes 50+ live TV channels streaming to all kinds of devices. You’ll also get to watch Hulu’s on-demand service. Get 7 days free. Sling TV is a lower cost alternative than the standard cable offerings. Pay just $25 a month for 30+ channels and on-demand access. Get 7 days free. Legend has it that the St. Louis Blues are cursed. However, the dedicated fans remain hopeful that every year will be the year they finally break through and receive the Stanley Cup. If you are one of those fans, we have all the information you are going to need to watch St. Louis Blues games online, as well as other NHL hockey games, if you do not have cable. Cutting the cord is all the craze now, and for good reason. There are many services that offer the same channels you have with cable without the outrageous cable bill attached. So, if you’re looking for a more affordable way to watch the St. Louis Blues live stream, we have compiled a list of the best streaming services. These services have lower prices than cable, and many of them allow you to customize the channel lineup you get in some way. You still have access to channel guides to find the right station, and most services also have DVRs, so you will never miss a game. Check out the information we put together in the following guide to discover which service is right for you. fuboTV is a sports lover’s dream in a streaming service. You get over 70 channels of live television and many of the channels are sports related. You’ll have several of the channels you’d need to watch St Louis Blues online. You’ll have FOX Sports Midwest or another regional channel, depending on your area and many areas also will have access to NBC. Across the country you’ll have CNBC, USA, and NBCSN. In addition to hockey, you’ll also have other national and even international sports access. Prices start at $45 per month, but the first month is available for $40. 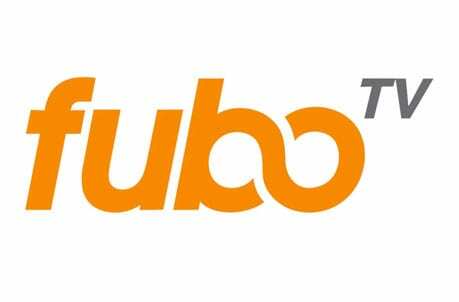 Check out our fuboTV review, here. Like many streaming services, fuboTV provides access to an on-demand library and TV Everywhere apps like the FOX Sports Go app. You get a cloud-based DVR with your package. Space is limited, but you can upgrade it if you need more. You can watch fuboTV with Apple TV, Chromecast, Amazon Fire TV, Roku, and mobile devices. If you’re interested, you can sign up for fuboTV’s free seven-day trial. 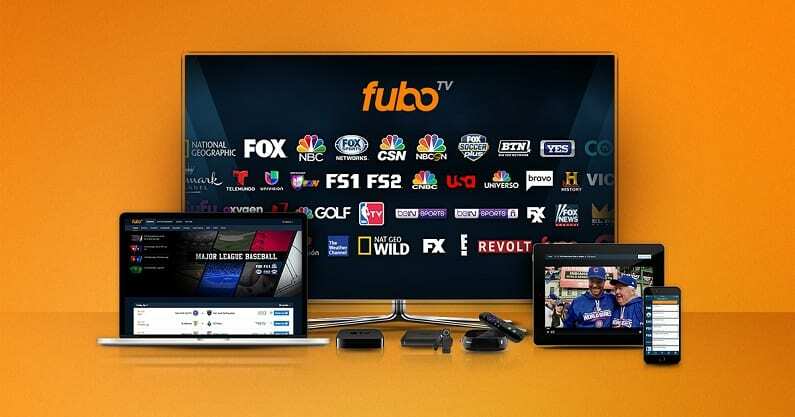 fuboTV offers a free one-week trial! Watch the St Louis Blues game online free with the fuboTV free 7-day trial! Hulu Live is an extension of the classic Hulu on-demand service. This means that in addition to the 50+ live TV channels you receive, you’ll also have Hulu’s on-demand service as part of your package. 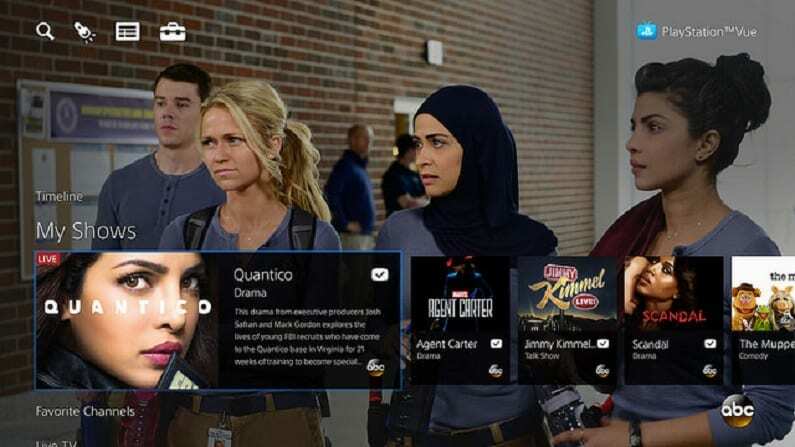 The Hulu Live channel list is extensive, including local channels in most areas. You’ll also have regional channels which air the St Louis Blues game live stream and other sports. In the case of the Blues, local fans will have FOX Sports Midwest. Other areas will have regional channels that reflect their area. You’ll also have USA, CNBC, and NBCSN, among other channels. This package starts at $40 and with no contracts, you’re free to cancel whenever you want. Extra channels are available to be added to your package if you’re looking for movie channels. 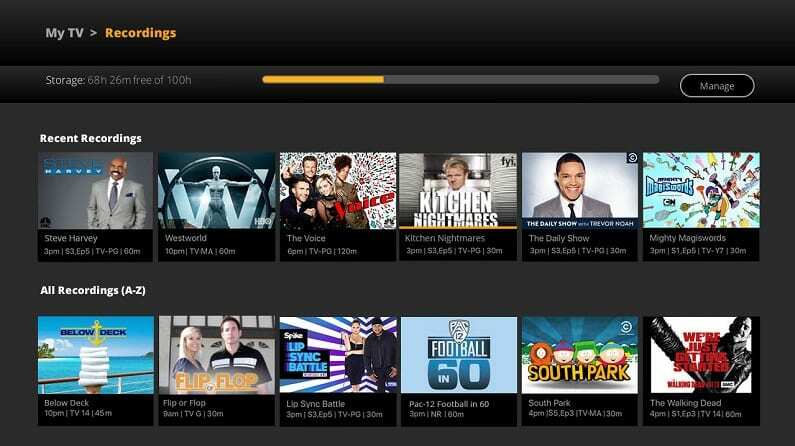 You’ll also be able to use TV Everywhere apps for many of the channels in your package. The cloud-based DVR includes 50-hours of storage but can be upgraded with more space for an added fee. You can stream Hulu Live on Apple TV, Chromecast, Amazon Fire TV, mobile devices, and more. Learn more with our Hulu Live review! Make sure to watch the St Louis Blues game streaming free with the Hulu Live free trial! Sling TV Blue package is a good way to watch the Blues game live stream. This package has 30+ channels and is $25 per month. FOX Sports Midwest is included, along with USA, CNBC, and NBCSN. Some areas will also have NBC, though that depends on location. The main package is missing NHL Network, but you can add the sports bundle for $5. 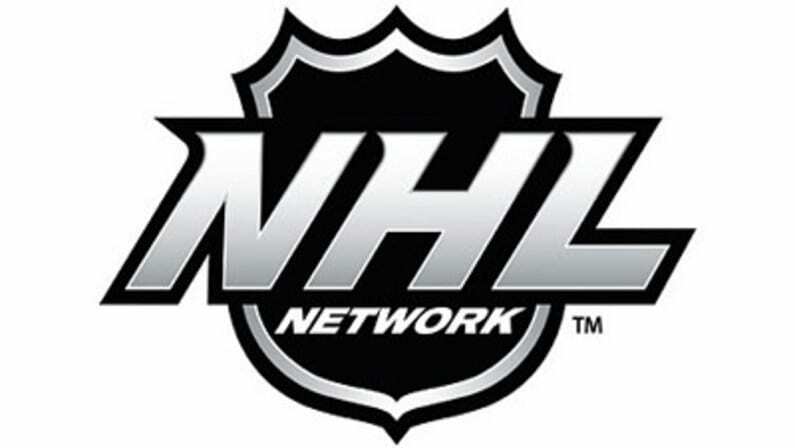 This add-on package will give you NHL Network and nine other channels. Other add-on bundles are also available for a small fee. Take Your Pick of Add-on Channels – Sling TV Offers Plenty! An on-demand library is included. You can also watch tons of content by using TV Everywhere apps. While DVRs come in many streaming packages, Sling TV does not offer one in any of the three available packages. You can add a DVR to your package though if you want one. 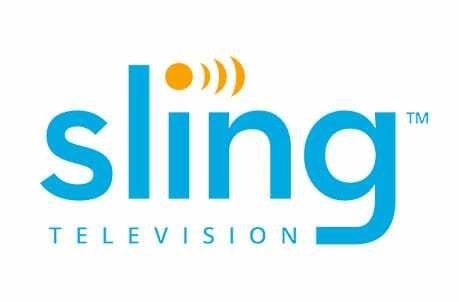 Sling TV is available on mobile devices, Apple TV, Amazon Fire TV, Chromecast, Roku, and more. If you have more questions you can visit our Sling TV review to learn more. Stream on Apple TV, Roku, Amazon Fire TV, mobile devices, Chromecast, etc. Are you interested in a way to watch St Louis Blues online free? If so, there’s a Sling TV free trial and all you need to do is sign up! 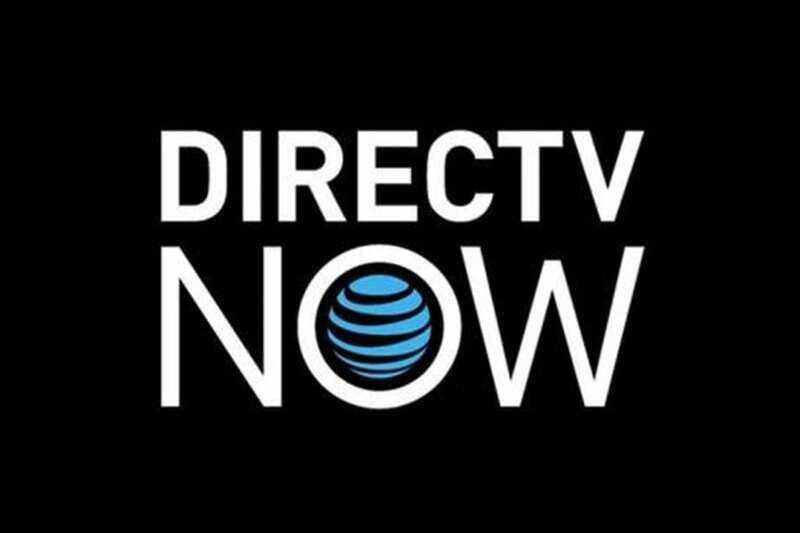 DIRECTV NOW is one of the few streaming services that could offer all of the channels you need to watch St Louis Blues games live stream without cable! If you’re in the St Louis area, you should have all you need. You’ll be able to watch FOX Sports Midwest, NBC, USA, CNBC, and NBCSN. NHL Network is also included. There are four package options available, starting with 60+ channels for $40. The other three packages include as many as 125+ channels. HBO is even available for just $5 a month. DIRECTV NOW also offers an on-demand library, which includes plenty of TV shows and movies. You can also use network TV Everywhere apps to watch even more content. If you want to record something, a cloud-DVR is included with your service. You can stream DIRECTV NOW on Apple TV, Chromecast, Amazon Fire TV, Roku, mobile devices, and more. Make sure to drop by our DIRECTV NOW review to learn more. PlayStation Vue includes 50+ channels in their main package and three other packages with even more channels! The starter package is available for $45/month. PS Vue includes regional channels like FOX Sports Midwest and local channels like NBC or ABC, based on your location. Other channels you’ll have, depending on your package include CNBC, NBCSN, and USA. If you want premium channels like Starz, you can add them to any package. Also included in every package are access to TV Everywhere apps and an on-demand library. 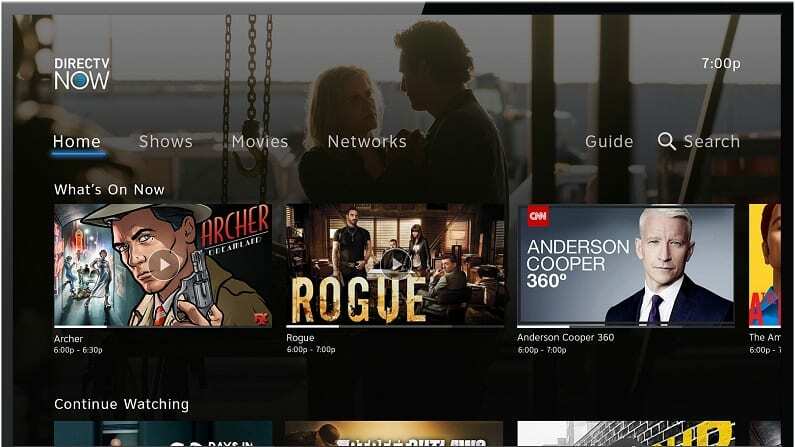 You can make user profiles for your cloud-based DVR to allow for easier access to your recordings if you’re sharing your account. Speaking of account sharing, you’ll be able to stream on up to five devices at once! You can stream PS Vue on PS3 and PS4 systems, Roku, Apple TV, Chromecast, Amazon Fire TV, mobile devices, and more. Additional questions can be answered with our PlayStation Vue review. PS Vue is on PS3, PS4, mobile devices, Fire TV, Roku, Chromecast, etc. If you’re a fan of the St Louis Blues and want to watch every game you can, NHL.TV might be the option for you. That said, it’s only best for those outside of St. Louis. With NHL.TV, for $140 a season you get every out-of-market live stream for each team in the league. You won’t get local teams, but otherwise you’re covered. You can choose to pay by the month as well. If you want to save some money, you can even choose a single team, like the St Louis Blues, and just get those games. NHL.TV works on a variety of streaming devices, including mobile devices. You can visit our NHL streaming guide or our NHL playoffs streaming guide to learn more about how to watch more hockey without cable. We also have a full sports guide available.